The film follows the Andalusian-born, German writer José F.A. Oliver during his time as a writer-in-residence in Istanbul as he observes the coming together of peoples, histories and cultures on the Bosphorus and records his impressions and thoughts in a personal diary. 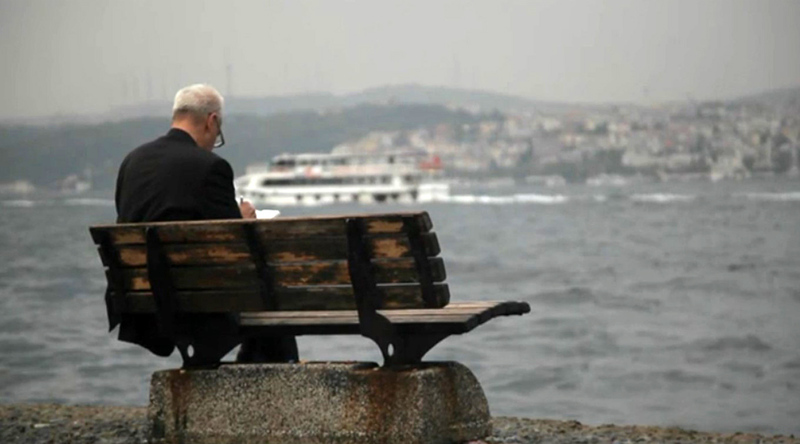 At the same time, the “poetic documentary” – which in part gave rise to Oliver’s 2016 book 21 Gedichte aus Istanbul 4 Briefe & 10 Fotow:orte – offers a unique insight into the creative processes of his work as a poet and sees director Altuner portraying him and Istanbul over the course of two years. Altuner also collaborates with the Turkish pianist Fazil Say for some classic songs from his library and on com­posing his own musical homage to Istanbul.